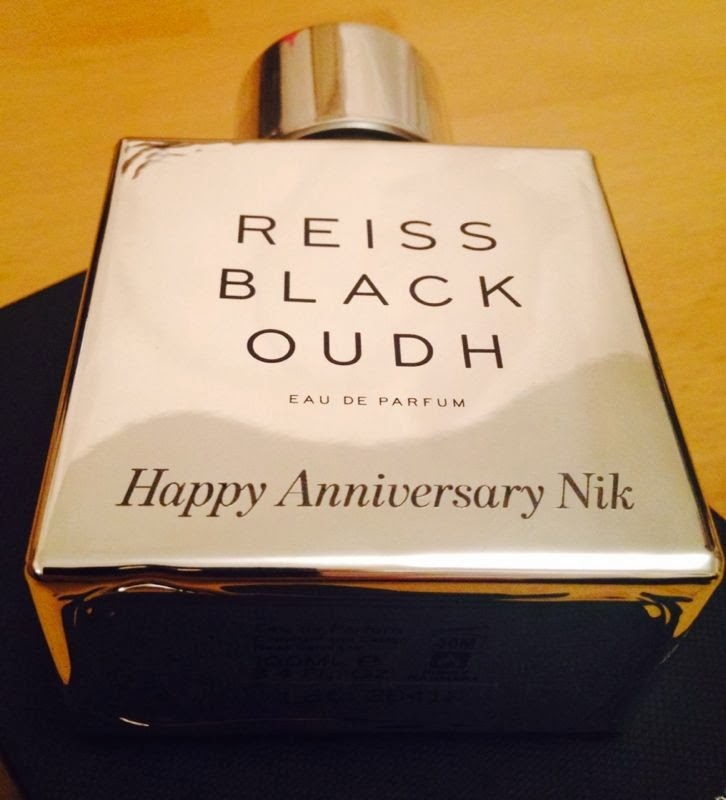 Last week British Fashion House Reiss launched their debut his and hers fragrances. 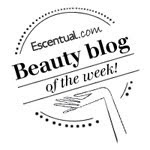 Created by award winning perfume designer Azzi Glassser with the help of the founder of Reiss, David Reiss. Ingredients were handpicked to create unique and luxury scents that represent style, design and elegance which are all at the heart of the Reiss philosophy. With this in mind, I think this has been achieved. The 'female' scent is housed in a simple but not insubstantial gold mirrored bottle. This is not your usual feminine floral or sweet scent, boasting the finest of ingredients this is a warm and juicy fragrance that is rather sensual and mysterious, smelling like nothing I have smelt before.. as a result I truly think that this could be a unisex scent. Out of the two fragrances this was my favourite, whereas the women's fragrance is in a gold bottle this is in a classy silver mirrored bottle, Black Oudh is most definitely masculine. I fell in love with it from the first spray. A gorgeously seductive scent that sums up man for me. A wonderful blend of the fresh and green with the peppery scent of the Vetiver, drying down to a deliciously alluring musk/woody base. Magnetic! Until the 3rd of October you can get personalised engraving on a 100ml bottle for free at Selfridges. As you can see from the above I dedicated mine to my husband of seven years, he loved the gesture. Most importantly the male scent was a hit with him too, and I have to say it smells incredible on him. 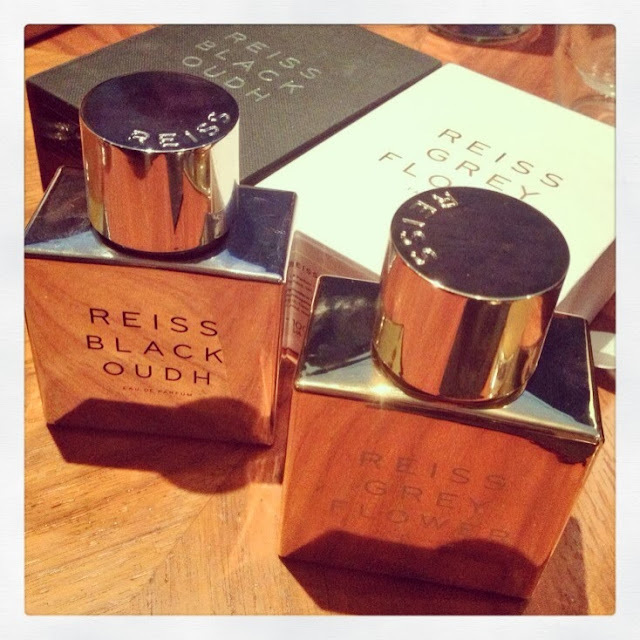 Grey Flower and Black Oudh are available in Reiss stores nationwide and online at www.selfridges.com from 26th September.